Rev. Herbert L. Bailey, entered into eternal rest on Thursday, December 14, 2017, at his residence in Greenwood, SC. Herbert was born in Hallwood, Virginia, on August 7, 1939, to the late Emma Lee Fallon. In addition to his parent, he was preceded in death by his son Keith Bailey. 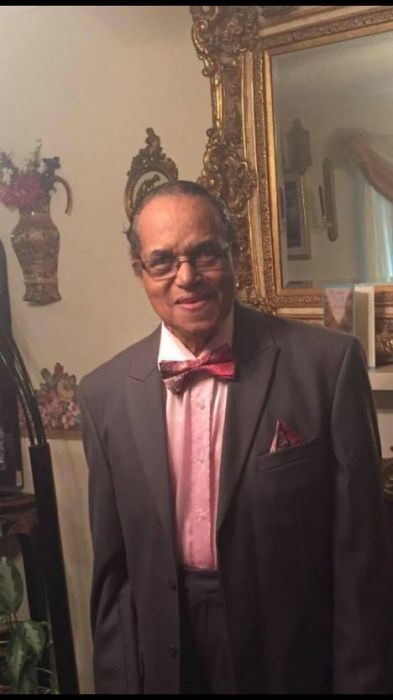 Herbert was a member of South Greenwood Pentecostal Holiness Church where he served as a minister. He worked at Pirelli Power Cables & Systems in Abbeville, S.C. where he retired from after 20 years. Herbert was outgoing, always willing to help, funny, loved to sing and known for his nice clothes. (He loved to dress and look nice). His favorite saying when talk to him before he ended his called was “Have a Blessed Day"
Surviving are his wife Reverend Janet Bailey of Greenwood, SC, three daughters Stephanie(Edward) Jordan of Brunswick, GA, Patricia (Phil) Martin of Jacksonville, FL, and Onteria(Jamal)Scrubbs Laurens,SC three sons Eric Bailey of Mooresville NC and James Gary and Rashad Bailey, cousin James Bailey, mother in-law Evangelist Lee Ruth Cook of Laurens, SC, sisters in-law Lavonne Holloway, Greenwood ,SC Rosa Little, Fountain SC, brother in-law Sammy (Lisa) Gary Woodruff, SC 15 grandchildren, 13 great-grand children and host of nieces nephews, family and friends. Services are 1:00pm on Wednesday, December 20, 2017 at South Greenwood Holiness Church, conducted by Pastor Terry Bailey. The body will be placed in the church at 12 Noon. Burial will follow in Greenwood Memorial Gardens.